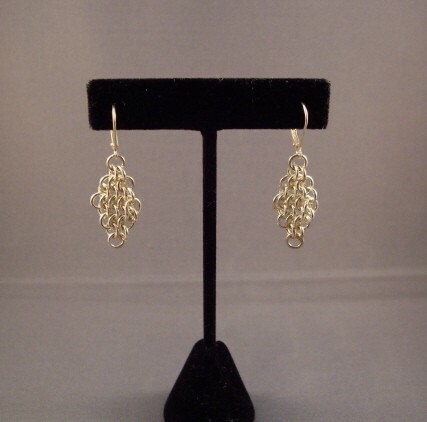 The Diamond Chainmaille Earrings are like a sheet of chainmaille in a diamond shape. They are light and very flattering as they lay along your face. This is an advanced beginner weave. Sterling silver plated or gold plated leverback earring findings are included in the kit.